> What qualifications are required to apply? > How do I obtain a Commercial Learner’s Permit? > How do I apply? > I don’t have a computer. Can you send me a paper application? > I do not have a CDL can I still apply? > I forgot my password. Can you reset it? > I tried to create a new profile, but it is telling me there is already an account with my email address. > Can I work just the A.M. shift (or P.M.)? > I am only available to work Saturdays (or only Sundays). Is that o.k.? > I’ve submitted my application. What’s next? > What are skills assessments? > Do I have any say in which garage I am assigned to? Q. What qualifications are required to apply? Applicants with a Class C or D license will be required to obtain a Commercial Learners Permit prior to hire. More than two moving violations and/or suspensions, withdrawals or revocations within the past three years. 4. A minimum of three years verifiable, full-time work history or equivalent steady part-time work within the past seven years. Applicants must include all employment for the past seven years in their application and account for any gaps in employment. 5. Ability to read, write, speak, understand and communicate clearly in English. 6. Physical ability to do the job. Regularly required to sit for extended periods, stand/walk occasionally, speak using a two-way radio, hear normal conversations over a two-way radio, reach with hands/arms frequently below chest height, and bend, stretch and secure wheelchairs with a 4-point lap/shoulder belt. Occasionally reach overhead and lift/carry/push/pull up to 50 pounds. Must have adequate close vision, distance vision, color vision, peripheral vision, depth perception and ability to adjust focus. Q. How do I obtain a Commercial Learner’s Permit? Upon successfully passing all three tests, you will need to apply for the permit. If you are obtaining the permit for a position with Metro Transit, you may select the “Exempt” box pertaining to Medical Examiners Certification. The Medical Examiners Certification will be part of a conditional offer to candidates who are successful in our selection process. Individuals who meet all the qualifications should submit an online application by clicking on the Bus Driver job title on the employment page by going to www.metrocouncil.org/employment. Carefully read the job announcement. Before beginning the application, make sure you have all your previous work history information including dates of employment, employer addresses and current contact information ready. Applications that are incomplete or do not include a complete work history for the past seven years (or explanations for any gaps) will not be accepted. Take your time filling out the application and make sure to save your work often. The information you provide in your application will be verified at the background check step and major discrepancies or inconsistencies may cause your application to be rejected at that step. Important: Pay close attention when entering your email address in the application profile. Most communication from us will be via email. Errors in your email address will result in missed communications regarding the status of your application and your progression through the selection process. Q. I don’t have a computer. Can you send me a paper application? No. We do not have paper applications. However, you may access a computer at public libraries and Minnesota Workforce Centers. 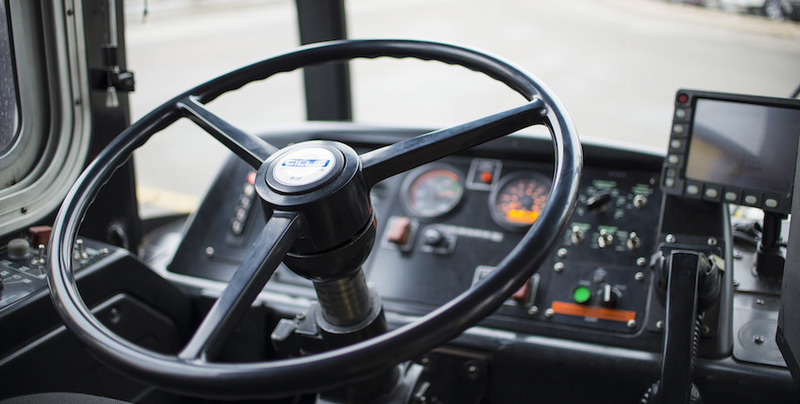 Q. I do not have a CDL can I still apply? Yes. Please refer to the detailed information listed above. Q. I forgot my password. Can you reset it? No. We do not have the ability to help with user i.d. or passwords. You will need to utilize the “Forgot User I.D.” and “Forgot Password” links located beneath the sign in box at governmentjobs.com. You should also click on “Help” next to the sign-in link and then click on “FAQ” on the next page. Governmentjobs.com provides a How To guide and other information to assist applicants. Q. I tried to create a new profile, but it is telling me there is already an account with my email address. Many public and government agencies use governmentjobs.com to post their positions. If you or, anyone else that uses your email address, have applied to another job with us or another agency that uses this system, your profile already exists. You may try the links to retrieve your user i.d. and password. To create a whole new profile, you will need a separate email address. Q. Can I work just the A.M. shift (or P.M.)? Weekday part-time drivers should expect to work a split shift, Monday through Friday – 2½ to 3 hours on average during these time periods: 5 a.m. – 9:30 a.m. and 2:30 p.m. – 8 p.m. Part-time weekday operators are guaranteed 30 hours per week. Q. I am only available to work Saturdays (or only Sundays). Is that o.k.? Weekend/Holiday part-time drivers work on weekends and holidays, which can start as early as 12:01 a.m. on Saturday and can go as late as 3 a.m. Monday and all holidays. There are no guaranteed number of hours. Q. I’ve submitted my application. What’s next? Your application will be screened based on your responses to the supplementary questions as well as reviewed for required work history, education and completeness. If your application is complete and you meet the minimum qualifications, you will receive an email inviting you to schedule for applicant skills assessments. Q. What are skills assessments? These tests will assess your map reading, customer service and driving situation skills. If you pass all three skills assessments, you will be invited to schedule an interview. A background check is then conducted on anyone passing the interview step. If the background check clears the screening criteria, you will be placed on an eligibility list for hiring consideration. The list is maintained according to total scores from the skills assessments added to the interview. All offers are conditioned to passing a pre-employment/DOT physical and drug screen with our doctors. Q. Do I have any say in which garage I am assigned to? Garage assignments depend on seniority and availability of openings per location.